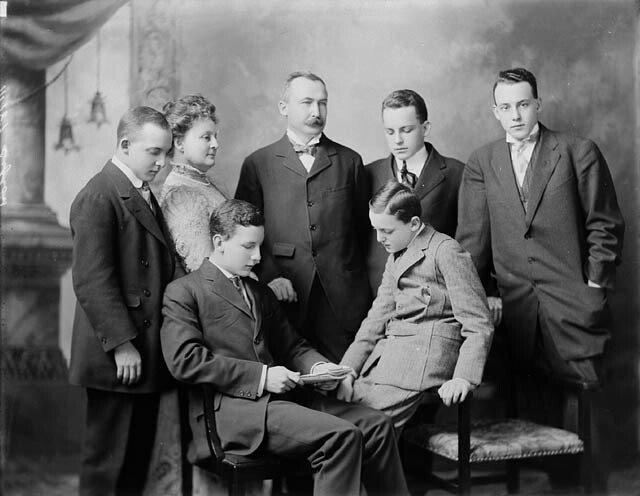 Sir Clifford Sifton and his family established a large media empire and his descendants can still be found in major media and telecommunication companies today (Image from Library and Archives Canada). Before getting into a more detailed account of issues of inequality in the Canadian media the debate should be put into more context. In referring to Canada’s media landscape this case study primarily focuses on news and opinion outlets found in print media, television, and radio; though the influence of popular culture shouldn’t be ignored. Canada itself is often regarded as a young nation, only gaining independence from Britain in 1867. From the beginning the cultural and media landscapes were split in two between English and French Canada. It has been further complicated by the partial public ownership of the industry; specifically in the broadcast sector at the beginning of the 20th century. Canadian journalism began in the mid-19th Century; unlike its American counterpart, the Canadian journalism profession was late in developing journalism programs at the post-secondary level, only doing so after World War Two. However, the most influential characteristic of the Canadian media landscape, for understanding inequality within the industry, is its ownership patterns since the very beginning. Beginning at the turn of the 20th century the Canadian media saw itself concentrated in the hands of a few corporations. In the earlier half of the century, many of these corporations were majority family owned. Names such as Southam, Sifton, Bell, Thompson, Atkinson, Webster and several others would be familiar to anyone concerned with Canada’s media history. For English Canada these families represented an upper class British ancestry, a few of the families even holding knighthood or titles in Britain, and some even bridging the Atlantic with their networks of media ownership. A similar phenomenon occurred in French Canada, where families came from the upper class French Canadian elite. With this concentration of ownership, inevitably came a powerful and influential upper class influence in the Canadian media. This tightly interconnected group of families were related through marriages went to the same schools and universities, lived in the same neighbourhoods, were part of the same clubs and associations, and more importantly jointly owned common companies. Therefore, a distinctly British Canadian (French Canadian for Quebec) and upper class elite interest existed in the Canadian media and was consolidated by the 1950’s. The only real major player existing outside of this was the CBC, which had its regulatory powers removed with the creation of the Board of Broadcast Governors (later replace d by the CRTC). Lower class and minority group input into the system was filtered through the interests of this group. This posed a problem for equality within the media, as there tended to be vested interests within the structures of the media itself, influencing biases and setting the agenda, with minimal influence from groups outside the owning families. Most criticisms of inequality within the Canadian media agree that ownership and editorial powers remained within the hands of this small group and prevented accurate representation or portrayal of unrepresented groups. Though improvement can be seen throughout Canadian journalism since the late 1960’s, most groups outside the middle and upper class male demographic remain under-represented and misrepresented within the industry. The rest of the sections will detail the cases of several of these groups through the last few decades of Canadian history. Robinson, Gertrude J. 2005. Gender, Journalism, and Equity: Canadian, U.S. and European Perspectives. New Jersey: Hampton Press, Inc.
Porter, John. 1965. The Vertical Mosaic: An analysis of social class and power in Canada. University of Toronto Press, p457-490.